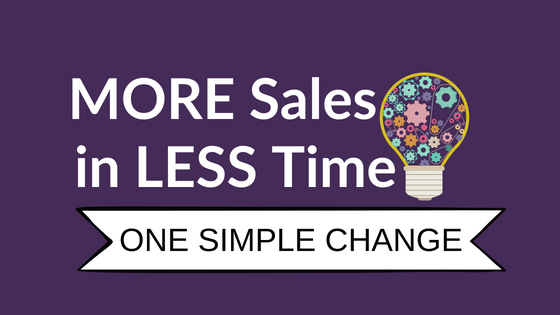 Do you want to increase your sales AND spend less time doing it? If you answered yes, the post below is for you! In today's post I will reveal an easy-to-use method that is being overlooked by almost everyone out there. Before we get started, I want you to know what's in it for you if you learn more about this technique and take action to use it in your marketing. Sell more using technology, not your time. Help people around the globe, 24/7, when they are available and need help. Answer prospect and customer questions without making them wait. Move people from one step in your sales funnel to the next based on the action they took last. Help people who stop responding to re-engage with you and your brand. Close more upsells than the old-fashioned "buy now or leave" upsell page. Build your list faster than by not using this method. Take your customer service to the next level and WOW your customers. Discover what people really want and if they will buy it from you. What you will learn in the next 12 minutes can not only double your income but it can do that while reducing the time you work as well. Let's face it ... none of us have enough time. Sure, we all have the same 24 hours in a day but doesn't it seem like it's getting harder to get it all done? Happily, when it comes to selling things online (from affiliate marketing to high-level consulting) there is a new tool that will set you free. You have seen this took at work without even knowing it. Major companies and mom-and-pop startups can use it with equal effectiveness. It costs very little (there are even free options) and others will do the work of setting up for you. Customers love it when you do it right. It is using a Chatbot to automate your selling process so you can make more sales in less time. You may be thinking ... "great, another technology I can't possibly understand but I need to use". If you are thinking that, don't worry. There are plenty of people who will help you if the tech gets in your way. Best of all, there are services who will do the work for you. So let's set aside the tech until another article and see if using a chatbot will really be of help to you. You have almost certainly experienced what chatbots can do already from a customer point of view. Here are a few examples of chatbots at work now. Internet marketers use this technique to deliver their training materials. Seth Godin delivers blog posts by chatbot now. 1-800-Flowers uses chatbots to start the ordering process. Domino’s Pizza uses chatbots to take orders, estimate delivery time, and track the time before they get to your door. Whole Foods uses bots to assist with placing and tracking orders, answering customer service questions, and providing recipes, all in an effort to make their customers’ lives easier. Many e-commerce companies are using bots to make suggestions and walk customers all the way through the buying process. One important factor - all chatbots worth their salt will allow a customer to contact a real person for help. So if you want to “clone” yourself so you can handle more tasks during your day, using a chatbot (especially a Facebook Messenger bot) is an easy way to do that. Using chatbots can help automate your business but some customers are resistant to the latest technology and still prefer to speak to a live person. An important part of programming your bot is listing your contact phone number and your email for those who want a more personal response, or for those whose questions fall outside the realm of what your bot can answer. When those calls or emails come in, you can handle them yourself or assign them to a virtual assistant if you work with one. If that sounds familiar, it should. It's my motto in business. You see, marketing automation really can set you free if you use it. So what will you need to "build" in order to profit from a chatbot? I believe there are three steps. Step 1 - What do you want a chatbot to do? Build your list - this is top of the funnel stuff and it works very well. Ask new subscribers to follow you on Facebook by messaging them ON Facebook to say "thanks for subscribing". Text new subscribers if X time passes and they have not open your welcome email. Encourage people to actually use your lead magnet. Remind people to download the lead magnet if they have not done so. Monitor who moves from step 1 to step 2 and send reminders if a person does not move along. Use Facebook to deliver alternative content if a person does not open their email. Send a text to those who don't engage with your email in the funnel sequence. Show a chatbot window on funnel pages in case people have questions. Save lost sales by using a chatbot as a popup on exit from your order form. Add a chatbot to your order form to deal with frequently asked questions. Offer upsells and cross-sells from a chatbot on the thank you page for your core offer. Ask for referrals on the thank you page. Happy customers love to refer. Not at all. But chatbots are an excellent supplement to your email marketing campaign. Chatbots are similar to email in this way .... if you are not consistent with your contact, your clients or prospects will stop using the bot and then your contact becomes much more limited. While chatbots are cool, and fun, and new, they simply don't allow for the personal interaction you can accomplish with email marketing. Nor can they provide important aspects of marketing like segmentation, where you determine what people really want and then offer it to them. We're almost done. Before we go, let's look at what a chatbot sequence looks like. This would be a typical sequence for someone building their list and selling products with an email engagement sequence. These are the things your chatbot would do IN ADDITION to the emails that go out. Let's assume you have a 10-day follow up sequence to sell a $300 core product. And let's assume you are using a lead magnet to build your list. Here is how a chatbot can support that sequence. Day 1 - Thank them for opting in. Day 2 - Remind them to read/watch the lead magnet if they have not. Day 4 - Provide alternative content to what is in your email. This can be a link to a case study, a video, or something else. Day 6 - Ask if they have any question and offer standard questions (and answers) to prompt their thinking. Day 9 - Deliver a special coupon to get them to order now. Day 10 - Send them a phone number to call to place their order before the offer closes. Day 11 - Ask them why they did not buy to gather important market research. While you can do all of that by sending more emails, the process of using two technologies is better for your prospect. Instead of getting 2 or even 3 messages in one day in their inbox, they get the same number of messages but spread across technologies. Do you see why I'm excited about chatbots? They work. They are fun to use. And they work for you 24 hours a day, answering questions at the exact moment your prospective customer has the question. In the coming days I will be sharing more about how bots can work for you without you needing to be a "geek". Thank you for your time today. I appreciate you! What One Thing Do You Need To Fix? What Do You REALLY Believe About Business?